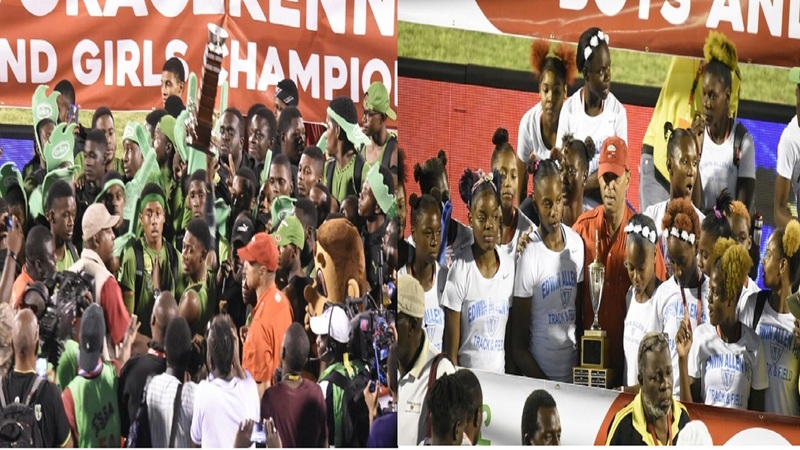 Edwin Allen High, five-time defending girls’ champions of the Boys and Girls’ Athletics Championships and Holmwood Technical High accounted for five meet records at the 10th staging of the Central Hurdles and Relays meet at G.C. Foster College on Saturday. The day produced six records, while one was equalled. Holmwood Technical accounted for three records, while Edwin Allen High were responsible for two. Holmwood Technical’s Calisha Taylor produced the first meet record by winning the Girls’ Under-18 400m hurdles in 1:00.69 seconds. Taylor had clocked the previous best time of 1:00.94 seconds last year. Kenish Greenwood of Edwin Allen High was well beaten into second place. Greenwood came home in 1:06.31, while Manchester High’s Shevanae Thomas finished third in 1:06.48. The Boys’ Class 3 400m produced the second meet record as Ferncourt High’s Derrick Grant won in 51.78 seconds to erase the previous best of 52.60 done by Kingston College’s (KC)Tyrese Williams in 2018. Knox College’s Malik Jones clocked 53.78 seconds for the next best time. 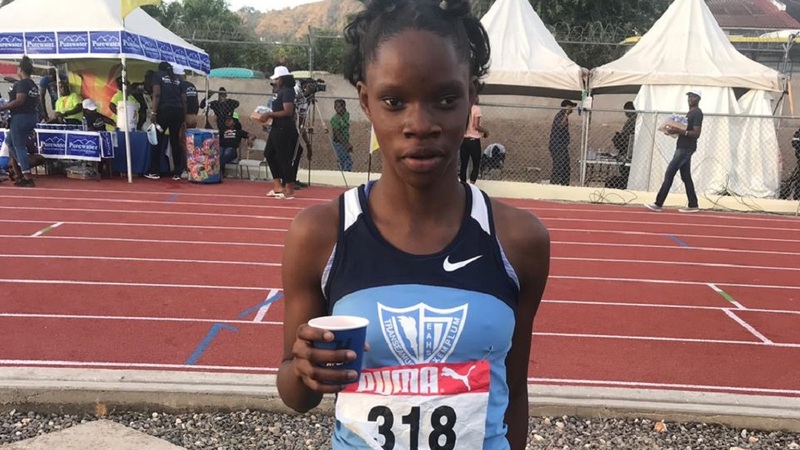 Edwin Allen High’s Lashanna Graham was responsible for the third meet record by taking the Girls’ Under-20 400m hurdles in 59.01 seconds to erase the previous best of 59.24 done in 2016 by teammate Shannon Kalawan. The Holmwood Technical pair of Danaill Brissett (1:01.01) and Dwanda Knight (1:02.36) finished second and third. Holmwood Technical’s Samantha Pryce produced the fourth meet record in the Women Open 2000m steeplechase. Pryce came home in 7:16.02 seconds to shatter the previous best time of 7:29.66 done by Edwin Allen High’s Aneisha Ingram last year. This time around Ingram clocked a slower time of 7:44.82 for second place. The fifth meet record came from Edwin Allen High in the Girls’ Class 2 4x100m relay. The quartet of Lisandra Brown, Petreece Clarke, Brandy Hall and Bethany Clarke produced a 45.54 clocking to win the event. St Catherine High recorded 46.22 seconds to set the record last year. Holmwood Technical came home second in 45.61 seconds to also better the 2018 meet record. 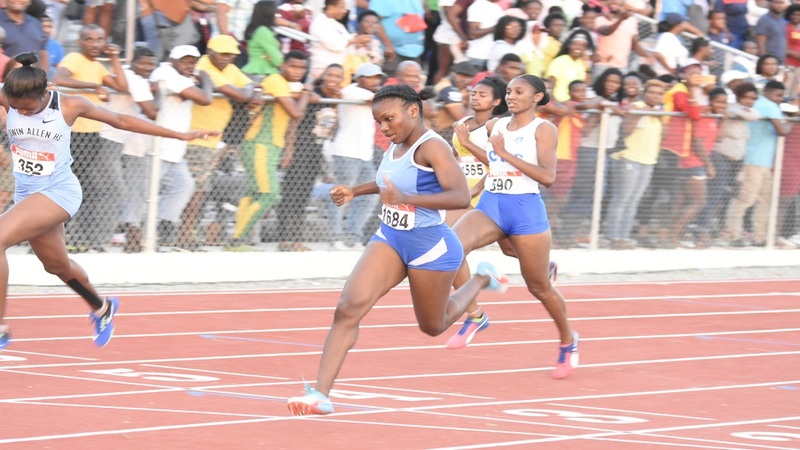 Holmwood Technical produced the other meet record by taking the Girls’ Under-18 4x400m relay in 3:39.81 to erase the previous best of 3:40.41 set in 2009 by Edwin Allen. St Jago High’s Tori-an Anderson produced the record-equaling effort by taking the Girls’ Class 4 High Jump with an effort of 1.50m. Anderson joined Brishawn Grant in 2017 and Teddy Ann Arturs of Holmwood Technical in 2018 as the meet record holders. Meanwhile, the talented Jeremy Farr of Wolmer’s Boys School continued his good form this season when he outclassed rivals in the Boys’ Class 1 400. Farr, competing in the fourth of eight eights, pulled away KC’s Jevaughn Powell early in the straight to clock a very comfortable 48.05 seconds for the victory. Tareese Rhoden of KC destroyed his rivals to win Heat 5 in 48.69 to log the second best time. He cruised home ahead of Zandrion Barnes of Manchester High, who came home in 50.85 for second place in the heat, a time which landed him 23rd overall. 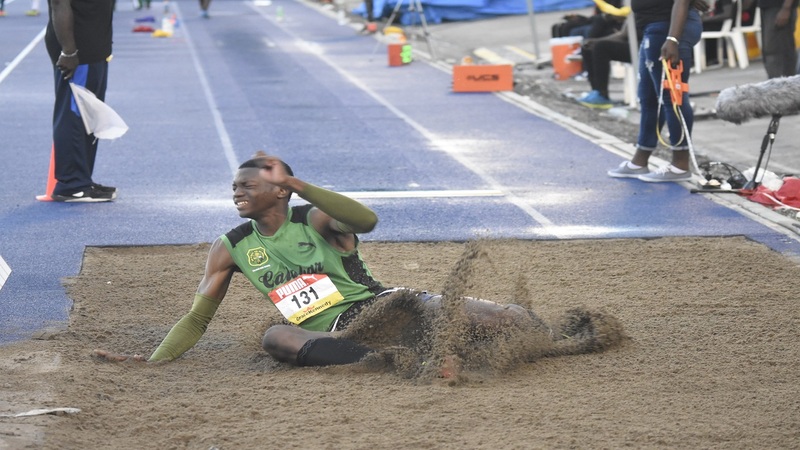 Devitto Davey of Holmwood Technical clocked 49.98 seconds for third place overall, while Tyrece Grant of St Catherine High placed fourth overall in a time of 49 seconds flat. The girls’ equivalent was won by Janielle Josephs of St Andrew High School in 56.58 seconds. T-Anna Dawkins of St Jago High clocked 56.64 for second place and Monique Brown of Edwin Allen High finished third in 57.03. St Jago High dominated the Girls’ Class 3 400m with a one-two finish through Quaycian Davis (58.59) and Vanessa Sewell (59.78).